This 2-door standing cabinet offers stylish and convenient extra storage space for your bedroom. It can also be used as other storage solution in kitchen, living room or bathroom. The decorative louvered 2-doors keeps your personal things hidden and provides privacy. The 5-tier shelves in the cabinet is removable and adjustable, which meets your demands to the greatest extent. 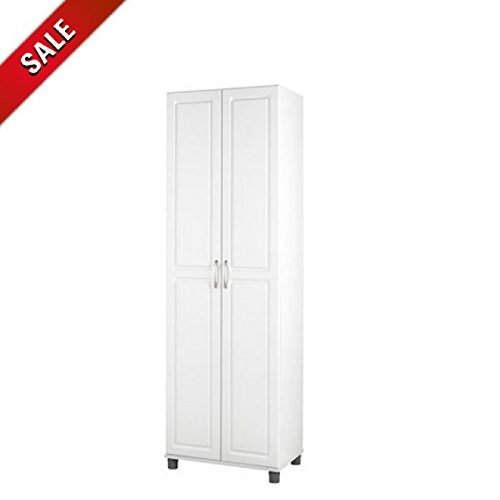 With a modern, clean design, the tall storage cabinet adds instant appeal to any decor. If you have any questions about this product by Ats, contact us by completing and submitting the form below. If you are looking for a specif part number, please include it with your message.